The Ninth Circuit Court ruled against President Trump and continued to block his travel ban on Thursday. The Ninth Circuit is the most liberal court in the country — and is the most reversed court in the country. 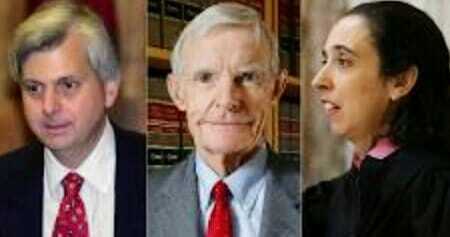 Judge Richard R. Clifton, Judge William Canby and Judge Michelle T. Friedland from the 9th Circuit Court of Appeals.